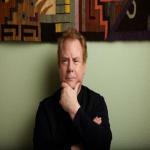 Sign up for Broadjam today to follow Michael Shrieve, and be notified when they upload new stuff or update their news! Love Pop Raladrao. Very hot. Once in a while I have a listen to songs that have been selected for opportunities that I've also entered just to get an idea of what was being looked for. I have been captivated by your songs in this case, all different styles and such high quality all round. Beautifully written, performed and produced. Good luck, you deserve it.